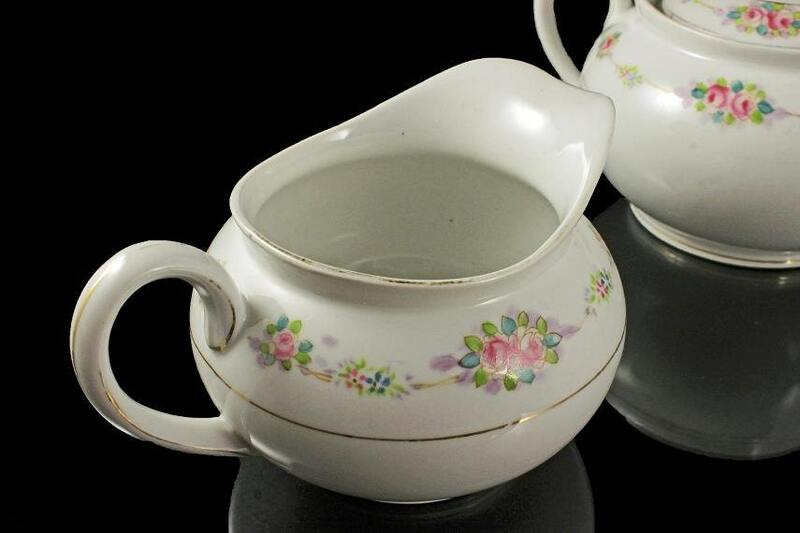 A beautiful sugar bowl and creamer set from Noritake. It was made in Nippon (Japan) and it's pattern is N169. 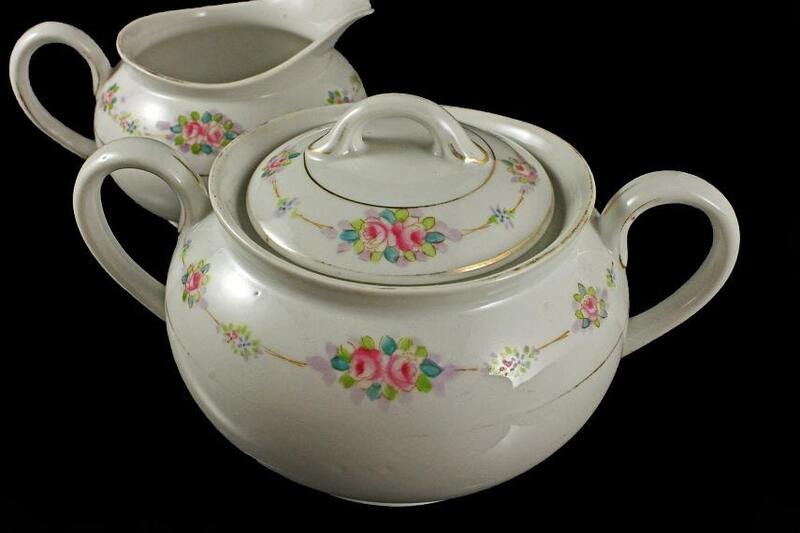 The pattern is white with pink roses and gold trim. This is an antique set dating from the early 1900s. What a wonderful statement this set will make on your table, buffet, or sideboard. 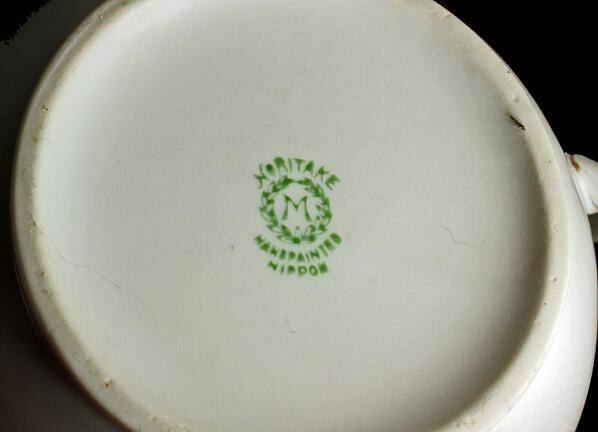 The name Nippon was used before the U.S. McKinley Tariff Act, which forbade the import of items that were not “plainly marked, stamped, branded, or labeled in legible English words.” Nippon is the English spelling of a pronunciation of what Americans call Japan, but in 1921, the word was ruled Japanese in origin, so Nippon was no longer accepted by U.S. Customs Agents thereafter. This dates the pieces from before the McKinley Tariff act demanded that "Japan" was to be used. 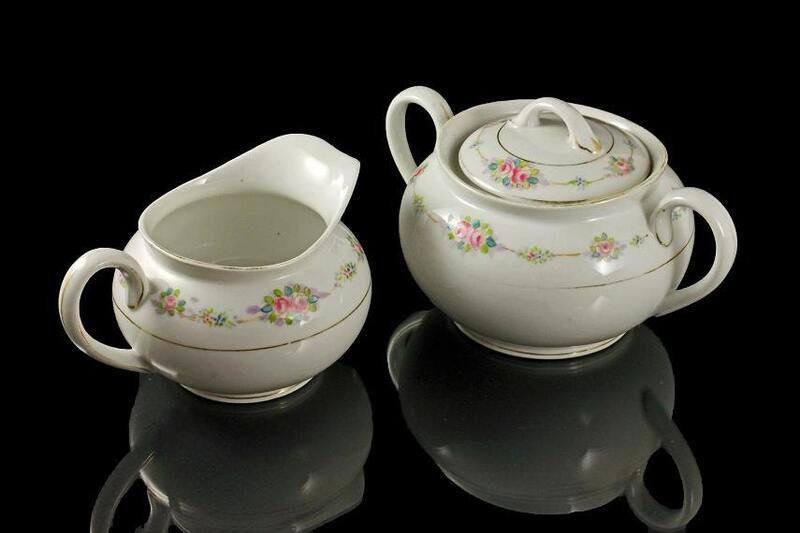 This antique sugar bowl and creamer are approximately 100 years old and are in very good condition especially considering their age. There is also some wear on the gold trim from being loved and used. Our price reflects this imperfection. There are no cracks, chips, or crazing. A perfect set for a holiday or special occasion. 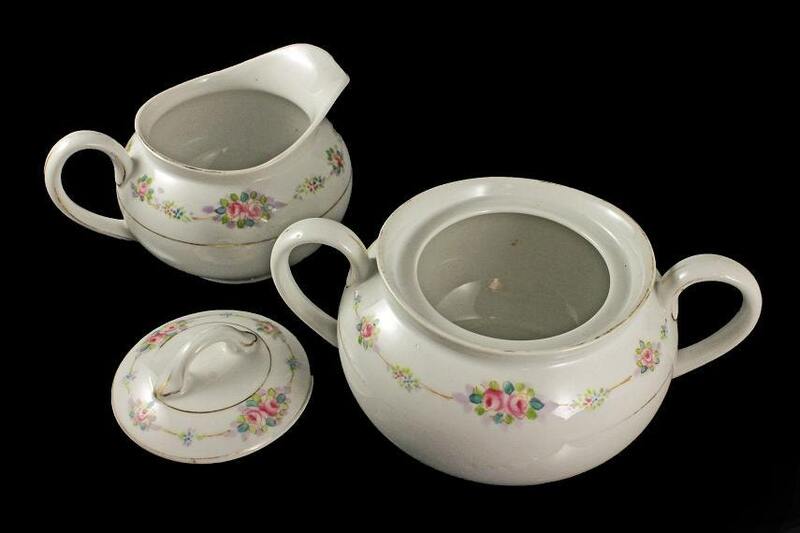 A great gift for someone who has a love of antique china.